The Eclipse 500 is a very light jet originally created and built by the Eclipse Aviation Corporation. In 2009 Eclipse Aviation Corporation shut down and was liquidated in chapter 7 bankruptcy to Eclipse Aerospace. Eclipse Aerospace acquired all of the rights to the Eclipse 500, perserving the Eclipse 500's future. In 2010 Eclipse Aerospace started retrofitting existing Eclipse 500s to meet all standards and to be just like a new Eclipse 500. This retrofitted aircraft is offered by Eclipse Aerospace as the Total Eclipse. The Total Eclipse includes everything that the original Eclipse 500 was supposed to offer, including certification to 41,000 ft (Flight Level - FL 410). Most of the problems the original Eclipse 500 had have been fixed as apart of these upgrades. Eclipse Aerospace announced on October 10, 2011 that they would restart Eclipse 500 production in 2013 under a new aircraft name the Eclipse 550. The plane is very similar to the Eclipse 500, however there are many improvements to aircraft, including the avionics system. Production of the Eclipse 550 is now underway and the first production Eclipse 550 was shown to the public at the October 2013 NBAA convention in Las Vegas. To learn more about the New Eclipse 550 visit our Eclipse 550 page. The Eclipse 550 is the new Eclipse 500 aircraft. 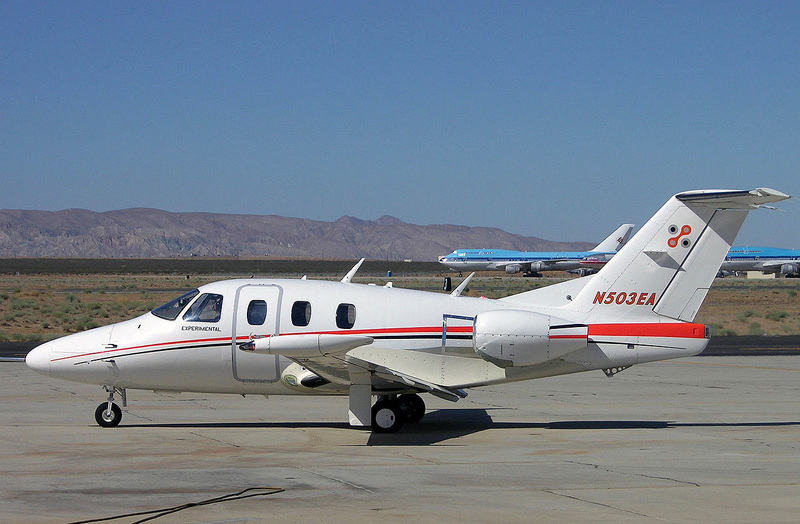 The Eclipse 500 was one of the aircraft that started the newer very light jet (VLJ) category. According to marketing from Eclipse Aerospace it is one of the most affordable very light jets to own and operate. The Eclipse 500 aircraft will continue on and be produced under the Eclipse 550 name. Above Eclipse 500 Aircraft photo by Alan Radecki on Wikimedia Commons. Photo (only) released under the GNU Free Documentation License, Version 1.2.